Tucker Breakin' Ground 2010 ! There was a small group at Main Street and Railroad Ave in Downtown Tucker. It was the first of December, 2010. 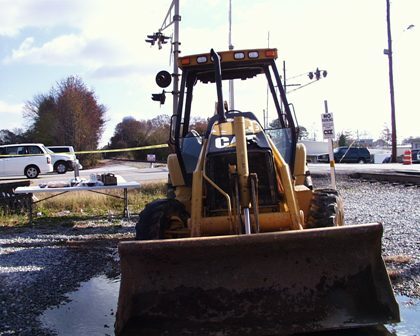 An excavator sat by the railroad track. 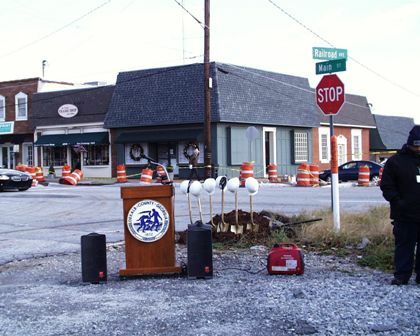 The DeKalb County podium stood ready. A train came by. And finally the Breakin' Ground in our Hometown, December 1, 2010. © Copyright 2007-2011 All Rights Reserved Abacus Works, Inc.